Can Somebody say...."Evaluate a field and buy it!! Plant a vineyard" already!!! I did not plan it this way. I dug up all on overdone summer annuals a few weeks back with BIG ideas for a pretty Fall front porch but somehow, somewhere.......TIME slipped away!! Something happened a few years ago and time began to move faster in my life. I have no idea where it all goes. I think maybe into some kind of "Time Bank"that God will be using for us to draw from that will provide for our Eternal Life maybe?? I mean I am positive that it was just a few hours ago that I flipped my calendar from August to September!!! It just seems that there is so much to be done and so little time to get it done. This little front garden was on my "To Do" list this weekend, along with putting out my Fall decorations. Many of our blogging buddies have been doing that for weeks now but most of them live somewhere that is not still 98 degrees. For us in Florida, Fall decorating is about helping us remember that it IS Fall. In any case. My front garden STILL looks like this today. My weekend was spent speaking at a church Brunch on Saturday, washing and ironing all clothes in the household in preparation for a ministry conference next week followed by a 2 WEEK VACATION to be enjoyed wallowing in the Fall covered mountains!!!!! Yipppeee! The weekend included cooking dinner (including a home cooked Apple Pie) for my honey and my youngest son and his family of 5. Oh, I also had my car washed, mopped my floors after my baby G Boy spilled orange juice all over them :), packed suitcases for 2 locations and ended the weekend at 8pm last night after I delivered doggies to their vacation getaway. I did not get to my garden or my decorations. The font of my house looks like a vacant rental!!! The Good News is that I learned years ago, that a woman can do it all!! Bless and care for my Husband, strive to make him feel valued and special and King of our home! Bargain shop for fresh fruits and vegetables....from anear and afar! I am not afraid for my household because I know God's Word, I keep it in front of me and make time with Him a priority. I do not sew, but I have friends who do, so my bed linens are beautiful and freshly made. I am not sure that Strength and Honor are always my "clothing" but I am certain they are my desire. I press on towards Wisdom and a desire to share all that God shows me. There is such rich example in these words of scripture. Lots of treasure to keep in font of our eyes and to use to measure our lives. Not to condemn but to challenge and encourage. In my defense, the Proverbs 31 Woman does a LOT of shopping!! I have the rare joy of having a honey who loves to shop as much as me!!! We hit the Mall of Friday afternoon! I have some purple shoes that I will have to post on my blog later this week. Maybe I will get to my Fall font porch by the time the calendar flips over to November!! As I have shared, I am pretty new to blog world. I really just got "Sweet Tea" up and running a few months ago. Since then, I have become a blog lover. I love to write and try to wrap words around my ever expanding heart, my looney life and the ministry that God has given me to spend a good bit of my time in. My favorite part of blogging by far, is hearing what other people have to say and share. I have found the world of the Christian women that I follow to be like confetti falling from the sky. An exciting mix of every color, texture, talent and warmth. I am irresistibly drawn in. An interesting thing that I have noticed is how often someone places a comment on a post as "Anonymous". It seems to occur most often when the comment pertains to something personal or transparent that has been shared by the blog author. That fact has always intrigued me. So I spent some time looking specifically at some of those comments and what they contained to see if I could determine why and when a woman would or should leave her thoughts and feelings behind as "anonymous". Few of us have lived such a perfect and unblemished life as to not be able to relate to most any post story of revelation, restoration or personal challenge. We are usually quite able to identify personally with the confessions and/or the facets of daily life shared from the deepest heart places of our sisters. Often the difference between some responders and the posting author herself is that the author feels FREE to share her NAME, most of the time. Even some bloggers, for a variety of reasons, write incognito. Just the sound of the word sounds so lonely to me, so vacant and so damaged. I have had the awesome privilege of speaking to women around the nation who are either in some form of "crisis" or are ministering to women who are in crisis. It is my humble experience and belief that those women who are FREE to attach their names, their identity to their stories of pain and restoration are the women who truly enjoy the best part of being healed and FREE!! The scriptures that use the word "Name" are many! Far to many to list here, all claiming the power of the NAME--ours and His! John 10:3 says He calls His sheep by NAME! He does not call us Anonymous!! Then you will have favor and a good NAME! To (She) who overcomes, I will give some of the hidden manna. I will also give (her) a white stone with a NEW NAME written on it! When God comes into our hearts and we surrender our past, our pain, our shame to Him, He replaces all that old stuff, our old bad name, with a new name! a new heart, a new life!! We are not Anonymous, we are His daughters, known by Name!! As I read those comments I have questions on so many levels. What causes women who believe that they are "healed", "forgiven" and "free to shield themselves from someone or something that causes them to cover their identity? If we are truly FREE. If God has done what we say He has done, isn't it our Responsibility and our Opportunity to shout it from the rooftops, to allow other women to hear our voices and our proclamation of restoration and forgiveness?? At the risk of making this post to long, I want to point out a story in the Bible where a certain woman, who was oh so special to Christ, was not able to recognize His presence until she heard her NAME.....read about her in John 20:10-16. Can we be FREE, if we are we still hiding anything whatsoever? I just wonder? Some might claim that it is to protect others. My question is, to protect them from what? The truth that we are all sinners saved by grace? That ALL have sinned and fall short of the Glory of God? The opportunity to understand that God has the same healing available for each particular pain? My experience is that when someone shares a story of Gods' Redemptive Healing....chains of shame and defeat break all around her. I do not believe that from the NanoSecond of our Salvation that "Anonymous" is a NAME that God has for His Girls! Anytime, Anyplace. It just gets me riled up to fight harder for the FREEDOM that God desires. My thought is let's claim it Sisters! Let's tell the whole world the GREAT things that God has rescued us from and the MIGHTY blessings of His love!! It seems to me that we are not to be ANONYMOUS!! We are to be Redeemed, Restored, Renewed, SET FREE!!! I would love to know your thoughts!! ***This Post has been rewritten in attempt to embrace my more sensitive side..
My friend Lysa Tekeurst has posted some precious surrendered secrets on her blog over the past few days. I encourage you to go over for a visit. Lysa and I share the same secret. Lots' of our sisters do. In fact, 1 in 3 women have a similar story. 43% of women of child bearing age share our secret. The secret of an abortion in our past. It was quite bizarre for me to find this on Lysa's blog tonight, as yesterday was the anniversary of my own abortion. It is a date that most women do not forget. I actually carry a small card in my wallet that has the date written on it. It was given to me by the hospital personnel where my abortion was performed. The "safe and legal" abortion that I paid extra money for so that I could be put to sleep and not have to face what I was doing. The "safe and legal abortion" that resulted in an allergic reaction to the anesthesia they used that caused me to stop breathing and have to be put on a respirator. The "safe and legal" abortion that was supposed to be a secret. I would go in in the morning an Be out by noon. No one would ever have to know. The "safe and legal abortion" that caused me to stop breathing and be put respirator. I woke up with a tube stuck in my throat and my parents at the foot of my hospital bed. The "safe and legal" abortion that had to be completed a week later due to "products of conception" that were left behind due to the emergency of my own life nearly being lost. The "safe and legal abortion" that sent me spirally down into an abyss of pain, shame, guilt and self destruction for the next seven years. Until, My Redeemer, Jesus Christ, rescued me, scooped me up into His arms and would not let me go. I carry the little card in my wallet with September 17th on it, not to remind me of the abortion, or even of my precious little daughter that I will someday scoop up in my arms. Neither death, nor life, neither angles nor demons, neither the present nor the future, nor any powers, neither height nor depth, nor anything else in all creation, will be able to separate us from the love of God that is in Christ Jesus our Lord. Truth be known, I have walked through both! The Misery and the Ministry of Marriage. My honey and I have been married for 32 years this month. This was my Anniversary bouquet. It was a wonderful surprise, maybe even shock. My husband is VERY generous. He is always giving me unexpected and wonderful gifts but he does not do flowers!! They were more than an Anniversary gift however. They were a peace offering, a fancy olive branch of sorts. Not only was honey out of town for the entire week of our anniversary, but he left me at home with a nasty flu and feeling as sick as I can remember in many, many years. I woke up the morning before our big day, all alone, burning with fever, only to find that one of our doggies had done a very bad thing in her doggie bed during the night. My mouth was open to call out to my man to come and clean things up, only to remember that I was...HOME ALONE........on my anniversary.....sick! Later that night, honey called to check in on me, as soon as I heard his voice I began to whine and commiserate about my day....about the doggie mess, how sick I was, reminding him that it is our anniversary tomorrow. I mean girls, I was going to town in full diatribe. Don't act like you don't know what I mean. For goodness sakes, I had a FEVER! Just about the time I was stopping to blow my nose I heard a mans' voice speak my name! Alas, it was NOT my husband, it was his NEW business Associate!!!! My darling husband of 32 years, had me on SPEAKER PHONE!!!!! !!!!!!!!!!!!!! He was in the car with this practical stranger, driving to dinner, when he called to check in on me! Now you all know exactly what I did. I hung up the phone and crumbled onto the floor in humiliation. My man called later, I did not answer. He called later, I did not answer. He called later still, I did not answer. He called later, again. Yep, you guessed it. Finally, at about midnight, he called again. I picked up the phone and in the Fake Sweet Voice mentioned above, I said..
"Honey, am I on speaker phone?" "No" he sweetly sheepishly responded. "GOOD!!! #@$#%&%$@+ (Insert naughty words here)" I said and hung up really hard. The next day was our 32Nd Anniversary. The Fever was gone. The dog was clean. My heart did what it always does when we have a fight. The doorbell rang and this beautiful arrangement was placed in my hands. The delivery guy ran away really fast before I could even tip him. I think my man warned him that the Wife was Hostile! Drop the goods and get out of Dodge! We have learned so much over those years. We have learned about the hysterical differences between men and women. We have learned that this too shall pass. That, if you are lucky, tomorrow is a new opportunity to get it right, but that it is oh, so much better to get it right today! "I will do that for you"
"Let's talk about it tomorrow"
"Let's never talk about this again"
We have learned ministry together! just in case it was a bad day! No road trip worth it's salt is a road trip, without a stop at Cracker Barrel, right! Last weekend honey and I took a little day drive, you couldn't really call it a "trip" but it just so happened that a Cracker Barrel was on our way so we took advantage of it and had a wonderful afternoon breakfast. One thing that I can hardly tolerate is a trip to CB that is so rushed as to not allow at least a short rest in a Rocking Chair. I mean life is just TOO busy if that has to happen. On our last stop, I picked up a brochure called "The Family of Cracker Barrel Rockers" just because of the title, my love for rockers and the new sickness that I have that sees so much of life through a possible blog post! This one really grabbed me because I knew that I would enjoy posting about it even if no another person ever read it. One article was called "Why Babies like Rocking Chairs". Since my life is surrounded by babies...born and unborn, related and not related, and I adore rocking any of them in rocking chairs, I thought this seemed worthy of my study. I pulled up a rocker and read! Come to find out, it was an astounding discovery! Babies LOVE the motion of a rocker going back and forth!! Wow! Go figure. "Ever wonder why babies love rocking chairs? Is it the simple, gentle motion they find comforting? OR???? is it the fact that they can feel the rocking chair working it's magic on YOU? Maybe they sense that one of the world's adults is, at long last, coming to a much needed stand still. Because, when you think about it, a rest from forward movement is exactly what a rocking chair is. In this life, where everyone is trying to get ahead and get to the top, rocking chairs are about getting you nowhere at all. They are designed to keep you right where you are! back and forth, lulling you into the moment. Where you can enjoy a nice view. Catch up with a good friend. recall a happy memory, or maybe make a new one. It's funny when you think about it like that. The question shouldn't be, why do babies love rocking chairs. The question is, why on earth did the rest of us ever outgrow them?" I for one, have not! I have them in the back yard, in the front yard and in the house! I have 6 of them in fact! How many rocking chairs do you have friend? My "Fresh" Word for the day is PEACE!! The reason that PEACE is a Fresh Word today is not really such a great reason. PEACE should not really be so "fresh" quite so often for me. As a matter of fact "PEACE" should be an old everyday word shouldn't it. I was always a good student. Being the "oldest" child (read my Bio page for more on this Old Girl story), I always made my parents proud with Honor Roll and Stars on Papers. When I was young, I learned quickly. Now that I am older, it seems that I have to learn and RE learn and learn yet again. The thing that I am always RE-learning about is PEACE! and how the PEACE of God leads me into the PLANS of God. "Let the PEACE (soul harmony which comes) from Christ rule (act as an umpire continually) in your heart (deciding and settling with finality all questions that arise in your mind)"
I have learned (on multiple occasions) to let the PEACE of God that is my inheritance in Jesus, lead me when I am torn between two decisions, which is often! More often than not, I have had to learn the hard way by having a LOSS of PEACE, when I am doing something that is out of God's will for me. You know what I mean. The times when you are plodding through something with a sense of uneasiness, an uncomfortable stirring, an inability to find JOY in the assignment. That is when I know that God is not in what I am doing, that my choice is not His choice. I recently had an experience like that. I had an amazing opportunity to write a book. God told me on the day of my salvation that I was going to write. I had never before had the desire to be a writer, nor did I have a clue how to go about such a task. But I knew in my heart that God had given me a new dream. Many---many---many years passed in my ministry journey. Over those years I wrote some magazine articles, some ministry tools, lots of speeches and Letters to the Editor. I even had the story of our daughters adoption published in a compilation book called "Loved By Choice". I attended some writers conferences here and there and got a really decent start on a Fiction book that every editor I showed at the conferences wanted. I just never seemed to have the time to finish it. Then, suddenly (now that's a great Fresh Word for another Friday!!) January 2006 my life took a whole new turn and before I could say "Praise the Lord", I had TWO, not one but TWO book contracts! 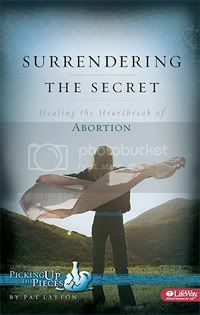 The one that took my breath away was a new Bible Study published by Lifeway called "Surrendering the Secret". PEACE not only led every minute of that amazing process but JOY wrapped itself around me as well. I never, never, never for one millisecond, doubted that God was all over that project. The second book got put on hold, I thought for good. Earlier this year, the second book showed back up in my life and I assumed that since God told me that I was going to write, and a publisher wanted me to write, and I had an idea for a book, that obviously I was to write.....RIGHT???? "No Eternal Value....No Internal Peace"
Only that which is called by God, anointed by God and Directed by God has Eternal Value!!! I will not forget that Fresh Word!!! I had a big task to explain to my wonderful and patient publisher! I had egg plastered on my face! I had lots of regrets! But most importantly I had PEACE!!!! I have learned yet again, please Lord, HELP ME TO REMEMBER!! So my FRESH---OLD WORD for Friday 9/5/08 is PEACE!!! Peace in my heart leads me into God's plan. It will act as my umpire, deciding and settling all questions that come up in my mind. I will listen to that peace, listen to my heart before I decide a course of action. Yesterday Lysa Terkeust shared a very touching and transparent post about the value and rarity of a friend who is loyal and does not gossip about you. I was inspired by Lysa's transparency and also could see into her heart in a very personal way. As a woman who has been placed by God in a position of ministry leadership, I know firsthand how rare and precious such a friend can be. I have served in full time ministry for over 20 years and have seen both sides of the friendships of women. I have seen lots of "friendships" come and go. There are the deep intimate friendships that we share. The girl bonding that men can not relate to--where we share secrets, dreams, insecurities and challenges. Those kinds of relationships amongst women are critical for a woman's health in Mind, Body and Spirit. We need sisters that we can trust with the good, the bad and the ugly. On the other hand, as a woman who is called to be a leader, I have also experienced far to many of the relationships that break your heart and leave you wounded and bleeding. The ones that are only good for as long as you are doing most of the giving. Over the years in my desparation to be a better leader, I have studied probably hundreds of leadership books. I have pretty much every John Maxwell and Andy Stanley ever written. Lysa's post focused on trust which is always high on the leadership bar. A leader must be able to trust her friends as well as be a trustworthy friend. Another character trait that has been on my heart very much lately that is equally as difficult to find in a friend is INTEGRITY! In "Developing the Leader Within You", John Maxwell says that Integrity is "The most important ingredient of leadership"
Integrity is found in a person whose words and deeds match up. John says "integrity is difficult to find in a world that has taken to hot pursuit of personal pleasure and shortcuts to success"
In the book "Becoming a Person of Influence", John says Integrity is the foundation upon which many other qualities are built, such as respect, dignity and trust. If the foundation of integrity is weak or fundamentally flawed, then being a person of influence is impossible. Even people who are able to temporarily justify a lack of integrity, will eventually experience failure and whatever influence that temporarily gain will disappear. People sometimes tell us one thing but do another. The Biblical virtue of Integrity points to a consistency between what is inside of our hearts and the choices that we make, our behaviour. What we say, what we do, our attitudes and our actions reveal the INTEGRITY of our hearts. And lead me in the way everlasting"
First off, to be considered a "Babe" at ANYTHING, at my age, is worth some attention. My Blogging life started actually through my YOUNG Executive Assistant, Jane. In any case, she opened me up to the world of blogging soon after joining our team in 2006. I had just signed a contract to write a book that was to rely heavily upon bloggers and emailers. Jane created an adorable template and basic platform to help me to get started. Immediately afterwards, my journey with Lifeway began and my life took a whole new turn--much to my surprise and delight!! The other book was left in the dust along with my new blog. I did not return to blogging until January 2008 when I made yet another attempt at the dusty blog book. It turned out that book was not God's plan for me but BLOGGING, that was a whole new story! I have fallen head over laptop for this world of wonderful, creative, friendly and funny women! 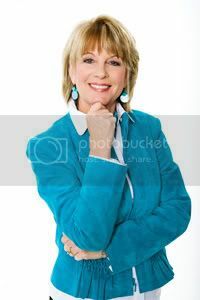 There you have it---My name is Pat and I am hooked on blogging!! Since I have really just gotten going on this thing, it has been a bit like talking into a mirror. A bit of a one sided conversation with myself. I have always joked with my staff at the ministry about the meetings that I have with myself. It is just more of that!! I honestly LOVE those kinds of meetings as I always have the majority vote and everyone agrees with my ideas!!! So, over the past 8 months, I have been hooked. Dawn at Barefoot Blogs created a new look for me and off I went! As I have been considering exactly what it is that I like so much about this new hobby. I decided to have one of those meetings that I enjoy so much and make a list for myself. I love the Friendliness and the Community of Christian women who blog. I love the potential for communicating the TRUTH of God's WORD, that is shared so freely, so transparently, so womanly. I love how REAL women are on blogs and how real I can be about my walk with God! I love it that my BLOG is MY Place!! I can do whatever I want here. Make it look like I want it to look and change it as often as I please. I love the possibility that I might say something that could inspire, heal, bless, encourage or tickle one of the sweet friends who read my blog or a new friend that I have never seen and maybe will never see. I love to have one more place in the world to possibly make a Kingdom difference! I love having my own little identity in "Sweet Tea", my personal place. I heard someone refer to a blog name as being "like the name on the side of a boat" only MUCH cheaper!! I love WORDS and Writing and Crafting new ideas, even if I am the only one who sees them but especially if someone comes along, stops for a visit and discovers a pleasant surprise. Lastly, and I haven't really even begun to sharpen this skillyet, but I LOVE being a "what to be" photographer! There is something about blogging that has opened my eyes to a whole new world. Things like lizards napping on fence post! and the color of art shows that I have always walked past without really noticing!! What do you like about blogging??? ?